Yesterday I woke up to a group text between my daughters and me in which my youngest, Jolie, had written, "It's stinky cheese week. I hope you're all celebrating!" What great news — an excuse to indulge in one of my favorite foods. Even better, stinky cheese gets a whole seven days of celebration unlike, say, popcorn which only gets a mere 24 hours. Upon further investigation, I discovered that Stinky Cheese Week had already passed. It was March 6 - 13 in New York City. But no need to fret, this is one celebration that we can easily keep going all year long! Why are some cheeses stinky? It all comes down to bacteria. The stinkiest cheeses are of the washed rind variety in which cheesemakers keep the rind moist by washing it in a saltwater brine or with various alcohols throughout the cheese's maturation. This process encourages the growth of Brevibacterium linens, a type of bacteria also responsible for foot odor — ewww! 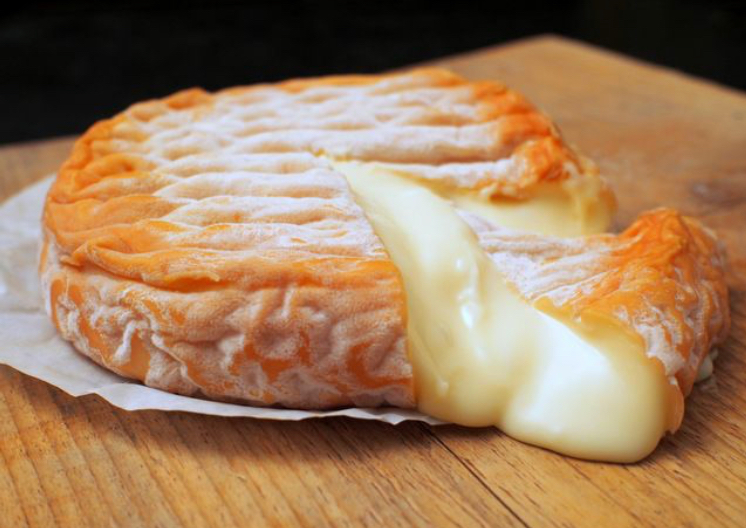 In other types of cheese, like Camembert and Brie, there is bacteria in the starter culture that can result in the cheese having a pungent aroma. Why do we love stinky cheese? There are many biological reasons why people love to eat strong smelling cheese but the most simple answer is because it's freakin' delicious!! And it never tastes as strong as it smells. Most washed rind cheeses have a wonderful creamy texture and complex flavors similar to mushrooms, nuts and meats. What's I find so interesting is that no other food with such an unpleasant smell is also considered one of the greatest culinary delights. How can you tell if a stinky cheese has gone from good stink to the bad kind? 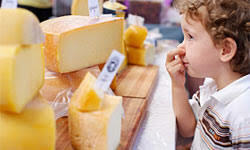 Smell: A cheese that has gone bad will start to smell like ammonia. You don't want to eat anything that has this chemical-like scent. Appearance: The rind will start to look rotten and broken down. Avoid dry-looking, cracked, browning rinds. They should look plump and moist but not slimy. Taste: A bad cheese will taste bad. It may be sour and will be unenjoyable to eat. Spit it out! What are some of the worst "offenders" ie., the best stinky cheeses? Limburger - Known for its especially strong smell, this semi-soft cheese originated in the historical Duchy of Limburg, now divided among three countries; Germany, Belgium and Netherlands. 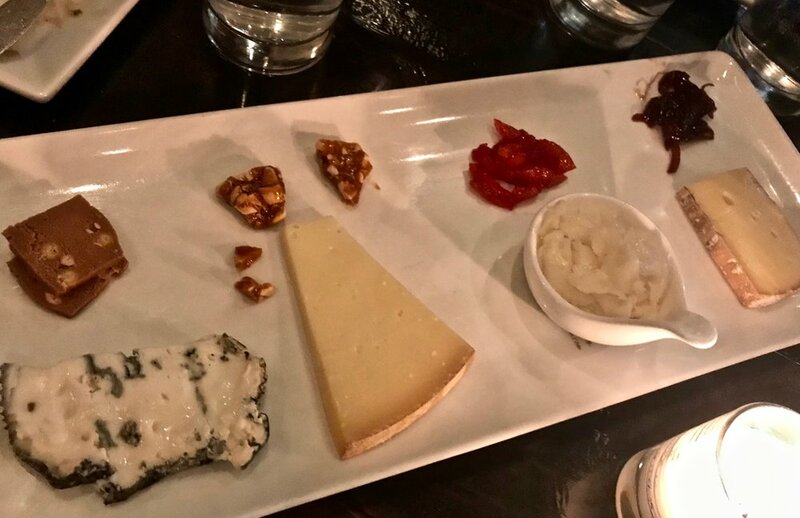 The cheese has a creamy texture and a strong, slightly bitter flavor. The traditional way to eat it is as a sandwich on rye bread with a slice of raw onion and mustard. It's also great on its own as a snack and even baked in a potato or pasta dish. Epoisses - This semi-soft cheese with a runny interior is produced in the Burgundy region of France. Napoleon is said to have loved eating it while drinking his favorite Chambertin Pinot Noir, also from Burgundy. I like to serve it with a nice piece of crusty bread and some apples, pears or grapes on the side. My friend John, Burgundian wine expert and the ultimate cheese geek believes that drinking a white Puligny Montrachet with a perfectly ripe Epoisses is "magical." Maroilles - a soft, cows milk cheese from Northern France with a tangy, nutty flavor. Its nickname is 'vieux paunt' - old stinker. In an article on KickAssFacts.com about the Top 10 Stinkiest Cheeses in The World, John C. commented, "Hands down the stinkiest cheese. I'm eating it now, but after my meal, I'm going to have to throw away my refrigerator because it smells so bad." That sounds a bit extreme! Stinking Bishop - A washed rind cheese dating back to the Cistercian monks. This soft-textured, creamy cheese is washed in pear cider and produced in Gloucestershire, England. Best served on crackers with some chutney on the side. Taleggio - A semi-soft cheese from the Lombardy region of Italy, it packs a big punch to the nose, but is relatively mild with both fruity and tangy flavors. It can be used in many recipes — grated on salads, melted in warm pasta or on pizza. So get out to your favorite cheese shop and partake in this now year-long celebration. Select the smelliest kind, the ones that will make you want to throw your refrigerator away! Note: if you eat it all up, you won't have to worry about the lingering odor. CASELLULA, 401 W 52nd Street, In addition to an extensive cheese selection, there's a nice variety of small plates and desserts. A certified organic Cabernet Franc from the Saumur-Champigny appellation of the Loire Valley. Well-balanced with lots of juicy fruit flavors and medium tannins, this earthy and savory wine is a perfect pairing with any stinky cheese.